FDG Entertainment has announced when Monster Boy and the Cursed Kingdom will release on Nintendo Switch, a date that was shared in today’s Indie Highlights presentation. 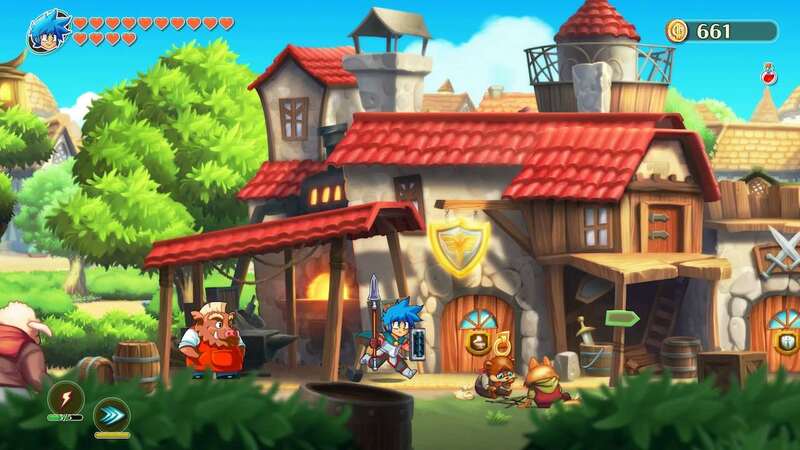 This colourful action-adventure game has been developed with Wonder Boy in Monster World series creator Ryuichi Nishizawa, and, borrowing the best from the classic series, looks to deliver a fresh, modern adventure. You play as Jin, who, with six special forms to swap between that each have their own unique combat and platforming abilities, must save Monster World Kingdom. Whether defeating enemies, discovering new paths and secrets or retrieving magic weapons and items that will open up the world, this epic adventure, complete with hand-drawn animations, looks more than promising. Monster Boy and the Cursed Kingdom will release at retail and on the Nintendo eShop for Nintendo Switch worldwide on November 6th.